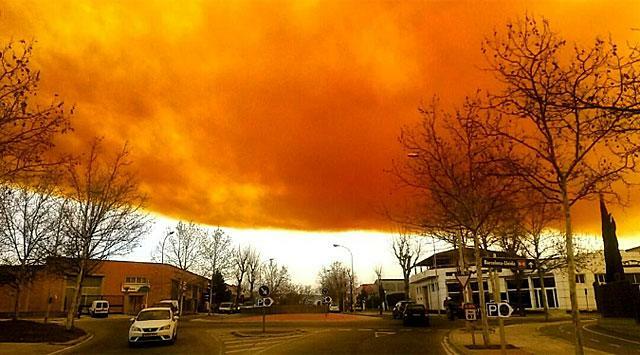 Authorities told residents of towns outside Barcelona to stay indoors as the massive orange cloud floated over the region. 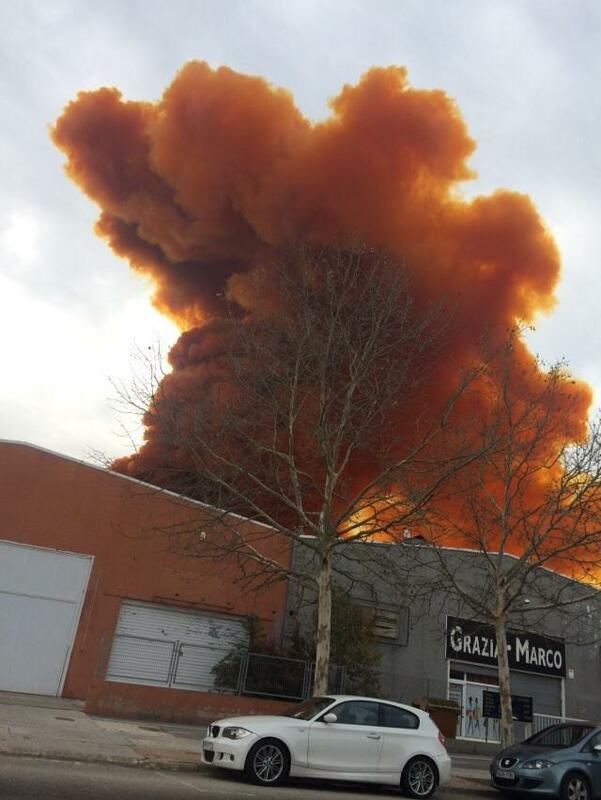 About 40,000 residents in the towns of Igualada and Odena were ordered to stay indoors and keep their windows shut after an explosion at a nearby chemical company sent a massive orange cloud of potentially toxic fumes into the sky. A spokeswoman for Catalonia's regional firefighting department said the blast occurred Thursday when products being delivered to a warehouse in the city of Igualada became mixed, exploded and set a truck on fire. She said two people were slightly injured. The cloud has begun to dissipate. The explosion happened at Simar, a chemical distribution plant, RT reported.